We have a great sketch for you today, and a great idea! 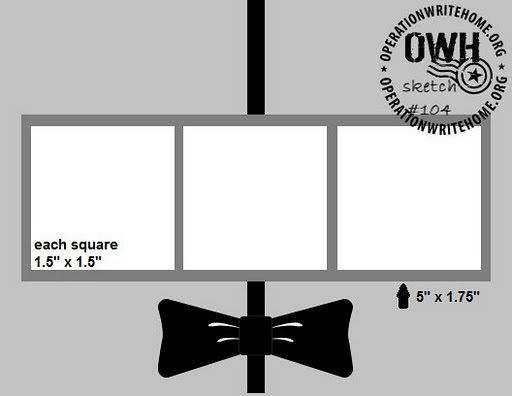 Kathryn decided to set a goal for herself to do each week’s OWH sketch this year, and to keep track of that goal she created a nifty checklist pdf file. She has generously offered to share it with anyone else who wants to join her in this goal! Isn’t that great!? If you would like a checklist to track your progress, just click here to download it and save it to your computer. I’ve also updated the Sketches archive page to include this link. And our samplemaker is Kathryn! She has a blog called Kathryn’s Cards where you can see more of her beautiful work – including each week’s sketch! 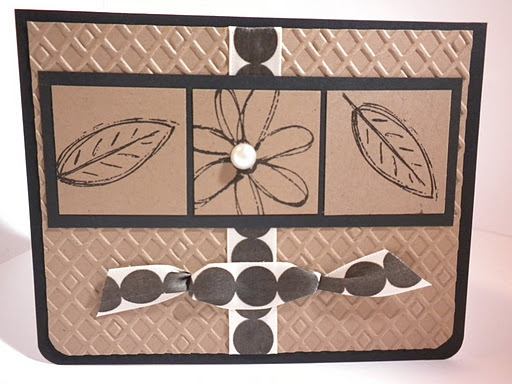 I just love this black, kraft, and cream card, isn’t that an elegant color scheme? Thanks so much for the checklist and the gorgeous samples, Kathryn! 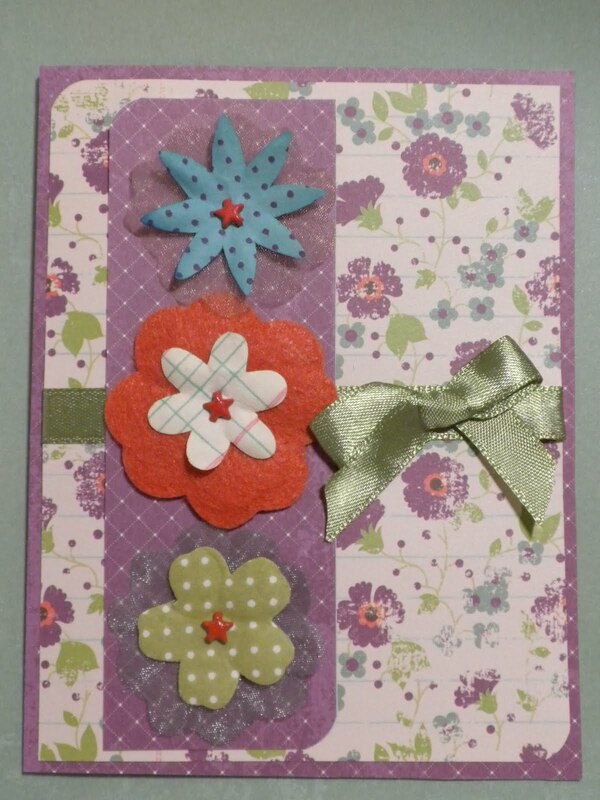 Last week we had three embellishments, this week three squares… what to put in them? I can’t wait to see what y’all come up with, so be sure and come back here to link up and show everyone! Sorry – I posted the wrong picture – but the correct one is on my blog – so if you click on the wrong picture – you will get the right one! 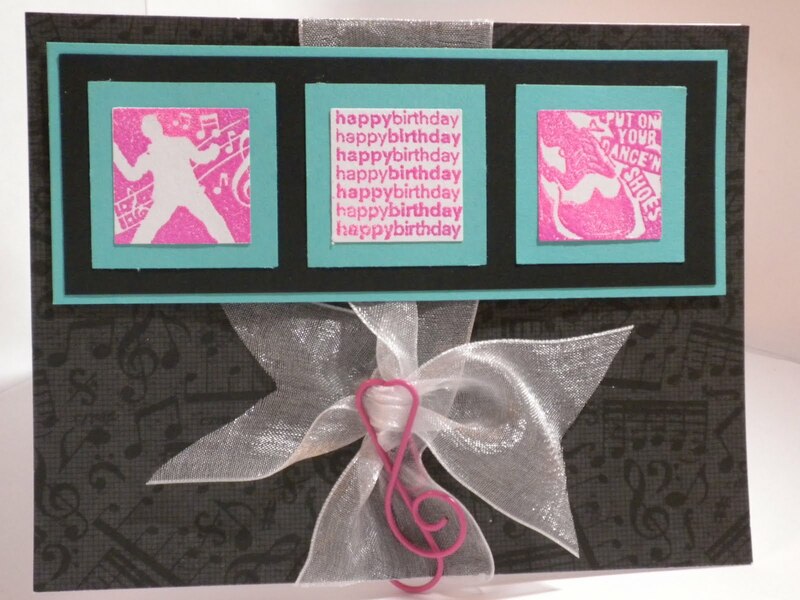 What a another great idea on using some of the little pieces we hate to part with.Thanks for the inspiration with your super cards. Im hoping Maureen and Yolanda will see this. I've tried several times to leave comments on their blogs and failed every time. I can get to their blogs… it's the comment that I can't get to work.Fabulous cards ladies. Maureen I love your colors, and Yolanda I love all the texture of the crimping and copper.